Komponist (1841–1904). Autograph letter signed. Prag. 1 S. auf Doppelblatt. Gr.-8vo. 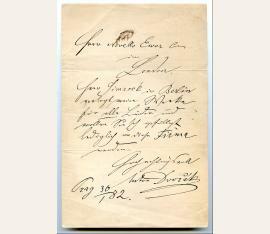 To the music publisher Novello, Ewer & Co. in London: “Mr. Simroch in Berlin is publishing my work for all countries, please contact this company […]”. – Slightly browned; small paper defect. Antonin Dvorak (1841–1904), Czech composer. AMusQS. Berlin, 13 Nov. 1893 [but: 1899]. Oblong 8°. 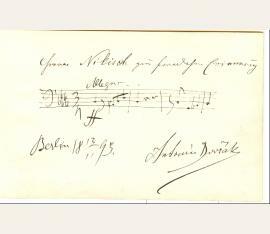 1 p. Dedicated to the conductor Arthur Nikisch, with three measures from his “Heldenlied” (op. 111), marked “Allegro”. 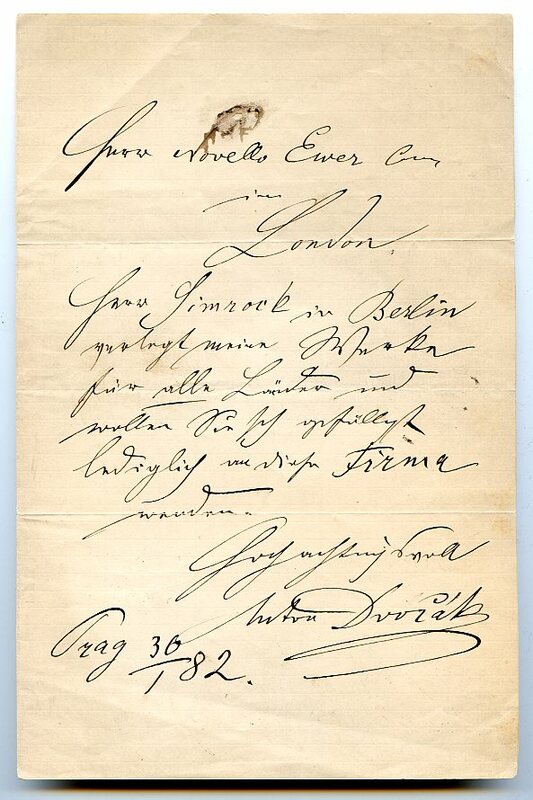 – Nikisch had conducted Dvorak’s “Heldenlied” (composed in 1897) in Berlin on Nov. 13, 1899, and the composer himself had attended the performance. 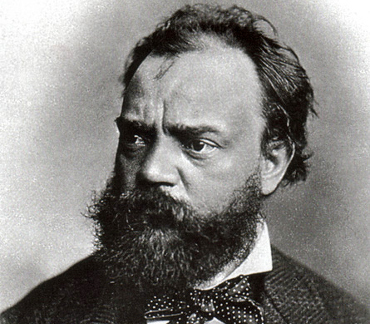 The work counts among Dvorak’s last great compositions and was to be his last orchestral work. – Sourek 373.